Who can deny Kawasaki’s knack for creating great small displacement motorcycles? The company makes three 650cc motorcycles available in North America: the Versys, ER-6n, and the Kawasaki Ninja 650R. The latter is a great alternative for anyone wise enough to avoid to avoid a 600cc supersport as a first bike, but still wanting a motorcycle zippy looks and performance. Likewise, for those who value their power and fear they’ll outgrow a Ninja 250 quickly, the Kawasaki Ninja 400R might be right for you. The 400cc class motorcycle has been kept from North American shores for so long we can hardly remember the last time we saw a new model on a dealership floor. 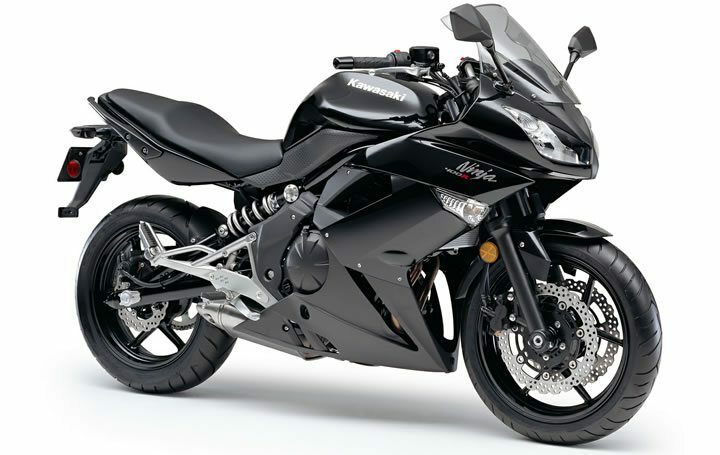 The Ninja 400R is physically the twin of Kawasaki’s Ninja 650R, with barely a kilo difference between the two. Thus, both bikes inspire the same impression of lightness and maneuverability. Kawasaki has done an excellent job making big things of their little bikes. The company’s Ninja 250R reaches an indicated 160 km/hr in full tuck. The Kawasaki Ninja 400R is no exception. The bike makes a respectable 44 horsepower and 28 ft./lbs. of torque. Unfortunately, these numbers are down about 15 horsepower and 2 lbs./ft. versus the now discontinued Kawasaki Ninja 500R. To its credit, the new, second-smallest Ninja now has fuel-injection and modern styling with a Ninja 650 dashboard for bragging rights. 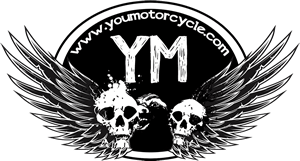 Power delivery is smooth and the engine is quiet, almost a hum that will go unnoticed in the ears of riders and cagers alike. The good news is even at 120 km/hr the Ninja 400R is only turning at about 7,000 rpm thanks to a six-speed transmission and gearing that lives to be pulled up to 12,000 RPM. Comfortable ergonomics, a more standard position than what supersports provide, makes for a comfortable ride. Suspension is well-matched to the street motorcycle use these bikes were designed for. Kawasaki’s Ninja 400R may not be as potent as the old EX500 was, but this new machine offers enough power for the beginnre motorcyclist and veteran commuter alike. The 400R meets or exceeds every day riding needs. Styling is a welcome update after a lifetime of square headlights on the EX-500R. Nimble chasis, light weight, and narrow seat make this a machine that will fuel your confidence. Power may not be sufficient for the heavy-handed, experienced riders. Despite the sporty looks, this bike won’t be winning any races, besides against unsuspecting cagers in their sedans. An MSRP only $1,200 below the 650R will have many riders asking themselves if the 400cc Ninja is worth its price, versus the larger displacement sibling. OVer 20% decrease in power versus the Ninja 500R / EX-500.